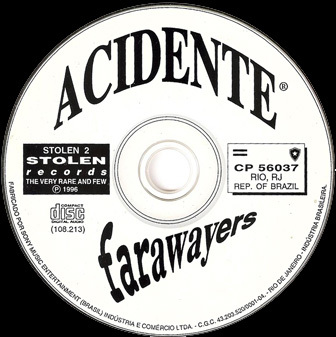 FARAWAYERS is the sixth release of the brazilian independent band ACIDENTE. It is all instrumental. 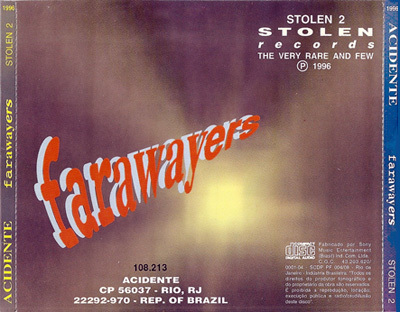 In its nine tracs the listener gets involved into a space travel. 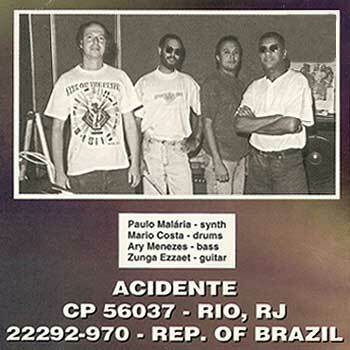 The compositions, melodic yet hard, feature creative riffs and hallucinated solos. 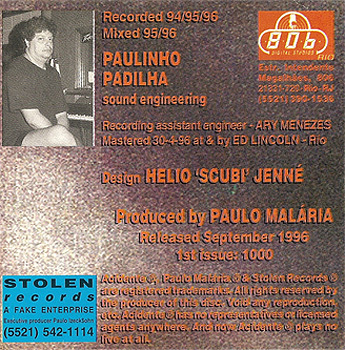 "This is the album of the long suites (title track is a 3-part 22-minutes epic) and some remakes. Now the musicians were fully adapted to digital recording and the result sounds best defined and louder than ever. 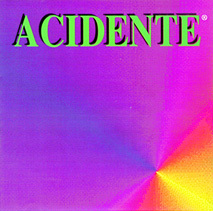 Still, the fact of having been released by an unknown indie label makes this CD probably the most subdued of all ACIDENTE's carreer, considering the high level of compositions and performances. After this, the band would split again for some years." 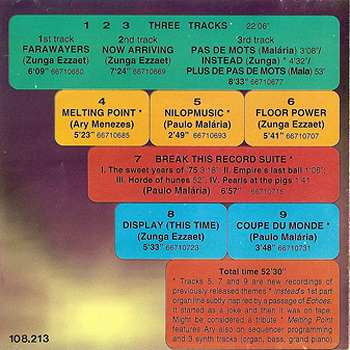 Tracks 5, 7 and 9 are new recordings of previously released themes. Instead's first part organ line subtly inspired by a passage of Echoes. It started as a joke and then it was on tape. Might be considered a tribute. Melting Point features Ary also on sequencer programming and 3 synth tracks (organ, bass and grand piano).